There’s something that’s been going on in the Facebook groups I’m in that I just have to talk about. Not a week goes by that I don’t see someone asking for help picking a new logo for their blog or a new design for their post graphics. Look, I get it. These groups are perfect for getting advice from your peers and those who have been blogging and in business longer than you. The problem is that you’re asking for help on something that’s too sacred to your brand. Many things that go into creating a brand for your blog. From your story and purpose, to the logo and overall blog design, taking your brand from just there to standing out in a crowded niche takes time, hard work, and a lot of staying true to yourself. So it should be obvious that when you’re asking strangers for help with things as personal to your brand as your logo that you’re going to end up creating something that’s a hodge podge of what everyone else likes and likely won’t speak to you at all. I talked about it a little bit in my post about 3 Things Driving All of Your Content, but you absolutely want to make sure that you’re creating a brand based on you: what you’re good at doing, why you want to do it, who you do it for and what you like. Creating a brand, even if it’s just as simple as writing blog posts or picking a logo, based on what other people like or say you should do is a surefire way to burn out with blogging really fast. What do you do when you need another opinion? The problem with asking random people for their opinions is not just that you’re creating a brand based on their likes, but they may not have any idea what it is you do or who it is you’re doing those things for. For example, if you’re a blogger writing articles to help millennial women feel more beautiful and truly begin to love themselves, your brand may flourish by having a more feminine name and colors, link pink! However, not all people like the color pink. So that means people may tell you that pink isn’t the right color for your brand. While that’s great if you were trying to attract those people specifically, if they aren’t even your target audience, then it doesn’t really matter what they like. Instead of turning to Facebook groups to crowdsource opinions for what you should do with your brand, I highly recommend that you turn to your closest business / blog friends! Not just people who interact with your brand, but people who truly know and understand what you do and who you do it for. By taking the time to ask those people, you’re making sure that you’re getting feedback and opinions that will help you make changes to your brand that will actually matter to your audience! How can you fix it if you’ve already made this mistake? 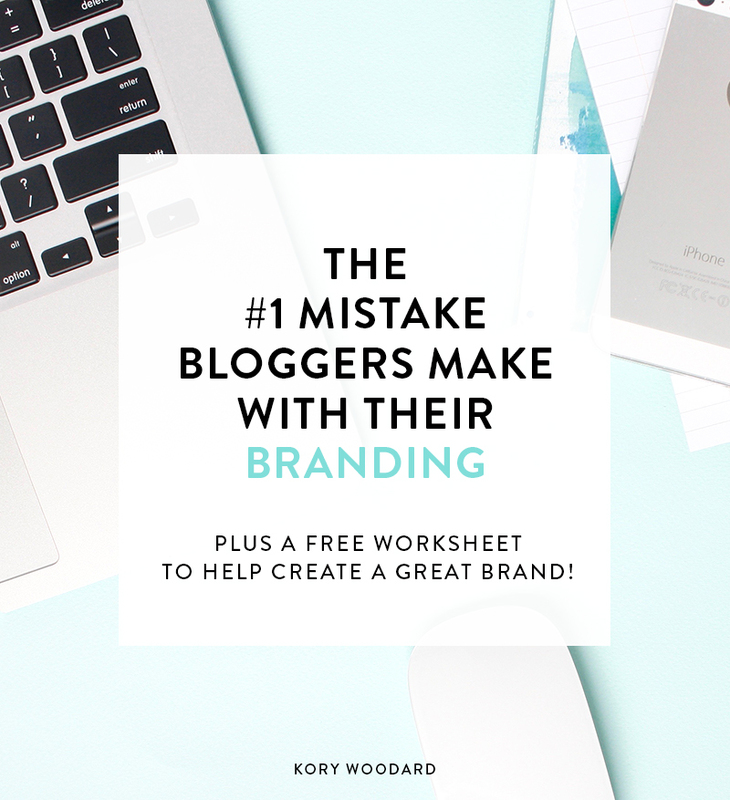 If you’ve already made this mistake with your brand, don’t freak out! It’s not the end of the world if you’ve crowdsourced opinions and made changes to your blog or brand based on them. 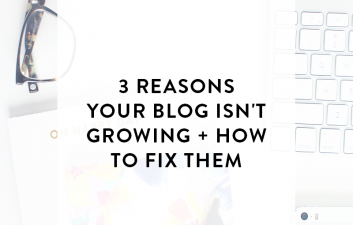 The thing to do is go back to the basics and reexamine your brand and blog together. Start with the basic questions: what am I doing? Why do I enjoy doing this? Who am I helping by doing this or writing these posts? These can be hard questions to ask yourself, but they’re the foundation to your brand and will help you get realigned if you’ve gone off the path you were originally wanting to take with your brand. After you’ve taken a deeper look at your brand, you’ll want to look over your blog. Krista has 3 Questions to Ask Before Adding Something New To Your Blog, but these are great questions to ask yourself when you’re going back to make sure everything on your blog aligns with where your brand wants to go. These sorts of questions require you to think about your goals instead of just doing what everyone else does or says that you should be doing. I won’t lie to you – it’s hard work to create a brand that’s based on you and not trends or other people around you. However, trust me, you’ll feel so much more at ease if you can honestly ask yourself if you’re wanting to add this new thing, change the colors of your brand, or do a major design overhaul because it’s better for your brand or if you’re doing it because that’s what a stranger in a Facebook group thinks you should do. Real talk: have you ever crowdsourced opinions for your brand? 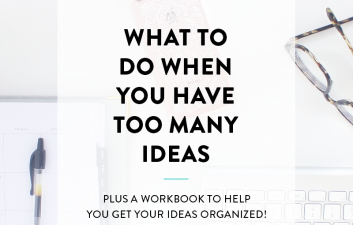 Take a serious look at your blog and brand in general and ask yourself if any part is something you’ve done because you’ve crowdsourced opinions on one thing or another. Can you honestly say that everything on your blog and all parts of your brand are true to you? If not, remember: don’t freak out! 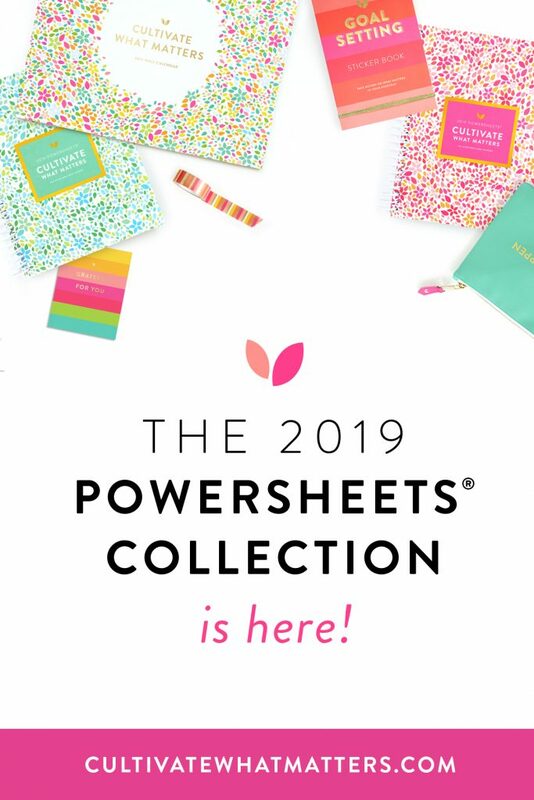 Grab my free worksheets and checklist to help you get back on track regardless of whether you’ve ever been guilty of doing this by clicking that cute button below! 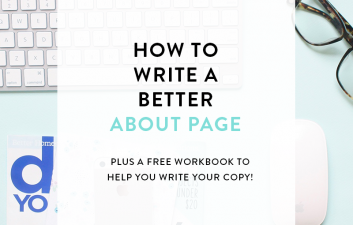 Get a free worksheet + checklist on how to create a better, more true-to-you brand for your blog! YES — this has been driving me a little nuts. These posts get HUGE responses but offer so little value. I’ve been struggling on what to do when I see them because I get why these folks are reaching out, I get that they want to be reassured, I get that they are doing their best. But how can I communicate to them that they’re doing their brand more harm than good? Oh, I totally agree! It’s so frustrating that people are crowdsourcing things as major as their logo and even their audience. I shake my head every time I see a post like that. I’ve seen a few people every now and then try to respond and say it’s hard to give feedback if you don’t know their brand, etc but I don’t think it matters. I think we just have to keep educating people on what a “brand” is and how it’s defined by them and not everyone else! Yes! I have come so close to writing a blog post similar to this. It’s also not a great way to get honest feedback. If other people are talking about how great your design is, do you think I’m going to be the negative nancy that points out what could be improved? No way! But like you said, the most important thing is that you come up with something true to you and designed with your specific audience in mind. Definitely! I didn’t think about our perspective (as designers) when it comes to also commenting on the post. Some people let the original poster know that it’s hard to give them feedback without knowing their brand, but I definitely agree with you – no one wants to be the negative or un-fun one in the comments! This is so true and I’m glad someone finally said it. I see so many people wrapping their minds in knots trying to consider the opinions of *everyone*, and that’s just not how it works. I definitely agree with you, Krista! I think a lot of people create their blogs and brands to try to satisfy everyone so they can see the success that someone else has seen without knowing that that person didn’t build their brand trying to please the masses! Totally agree! I feel like people are too afraid to trust their own opinion. It’s so important for the blog to reflect the writer’s personality. 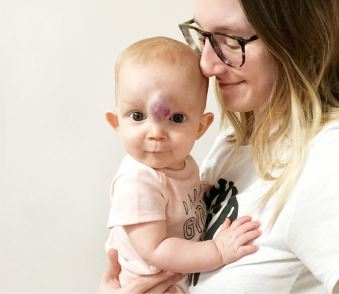 I only started blogging a little over a month ago, but a long time before I started I knew exactly how I wanted my blog to look like and what I want to write about. That really helped. I definitely agree with you, Selja! I think it’s hard to trust your own opinion, especially since there are so many posts with such different advice online. I can imagine that people get to the point where they literally just don’t know what to do at all. I’m so happy to hear that you knew what you wanted to do and just focused on that! I love this post! I’ve never understood people asking a group of 5,000 people what they think about something so important. I have a lot of artists in my family, and they call something like that “art by committee.’ And it usually doesn’t turn out very well. I suppose in this case it would be branding by committee. I definitely agree, Ardelia! It makes no sense to me when people do that. Everyone has their own taste. As my dad says, “that’s why they made chocolate and vanilla”. I think it’s a much better idea to work with a mentor or a close group of friends when you’re working on something for your brand, so major props! This is so on point Kory! I will definitely take these thoughts into consideration as I revamp my blog and brand into this year. I loved your thoughts about opening up your brand to others, but ultimately keeping it something sacred and a part of you. So true and I so agree!